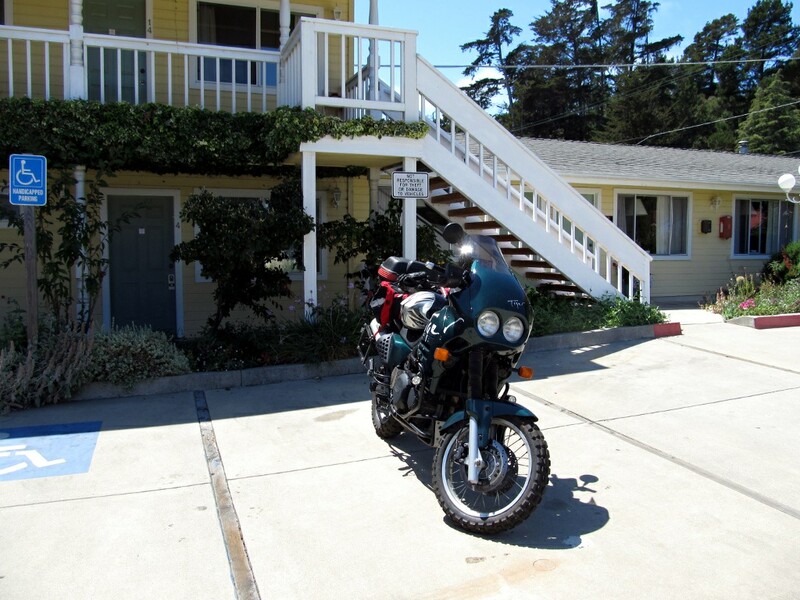 Took Simba on her first real ride over last weekend, heading across the heat of the San Joaquin valley to the cool coast in Cambria for the 10th annual Bonneville Rally. I’d been to two of the events before (’04 and ’05), great bunch of folks; but it’s become a pretty big deal these days. I would guess total attendance at about 70 folks. 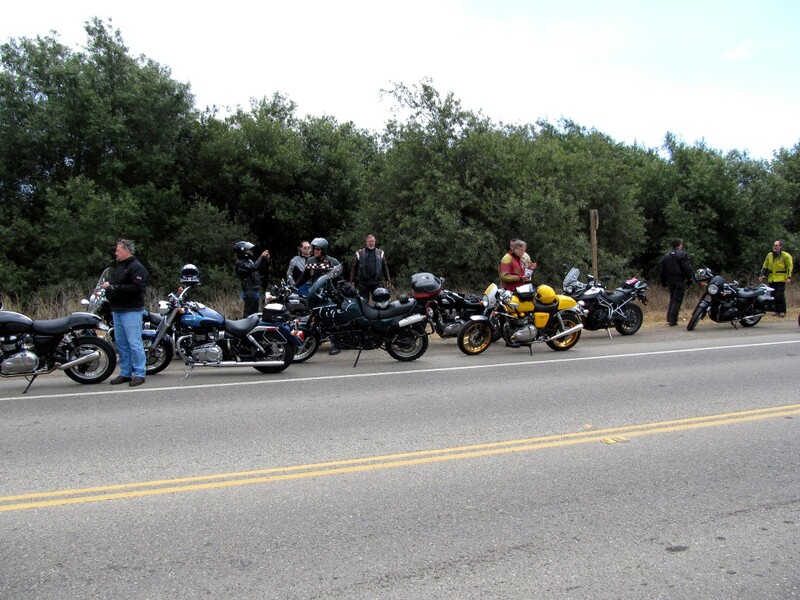 We had 53 bikes on the ride on Saturday. Actually it was more of a parade than a ‘ryde’; but it was more about the gathering and the people. 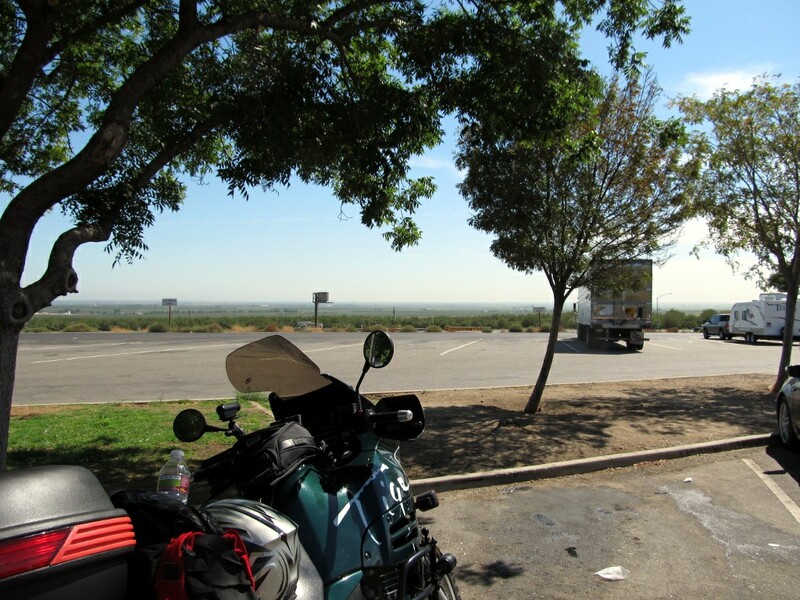 Simba taking a brief pause on the ride down, at a rest area south of Tracy. 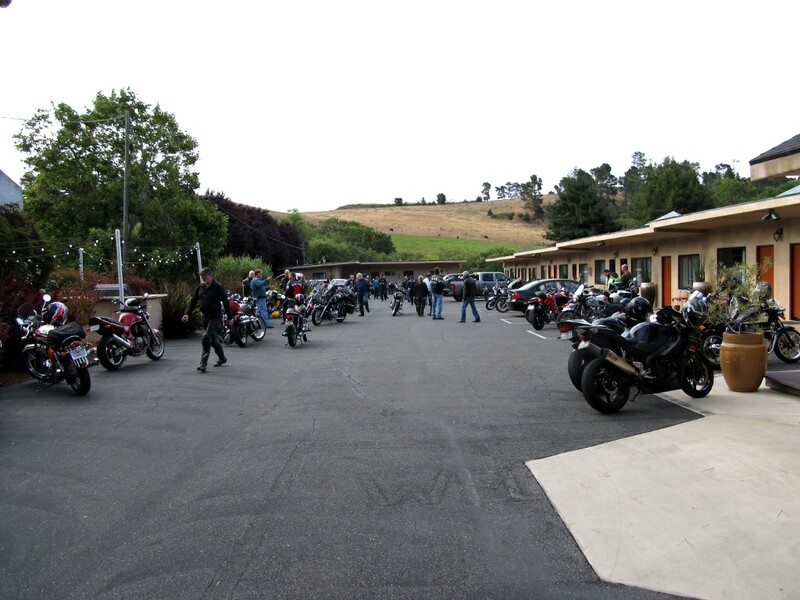 We’ve arrived at the Creekside Inn in Cambria after 320-odd miles. 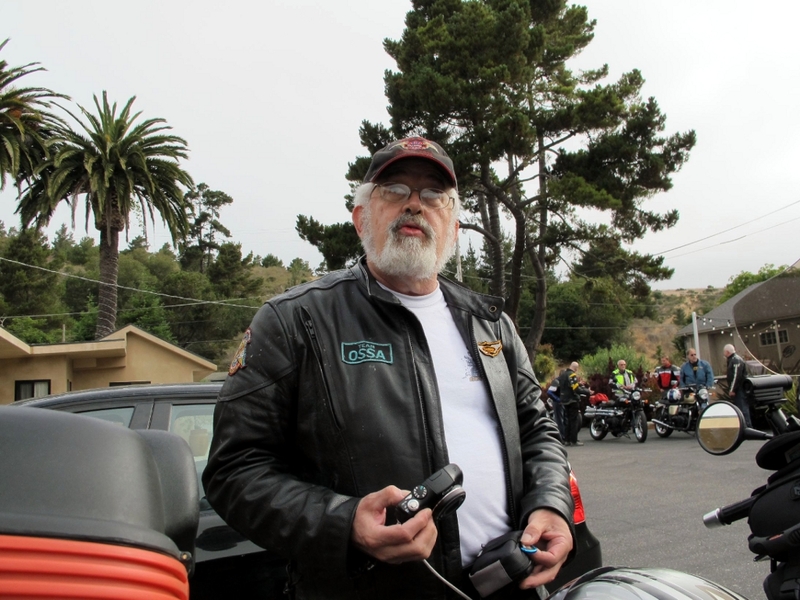 Yours truly, anticipating a good ride with the Bonnie guys.